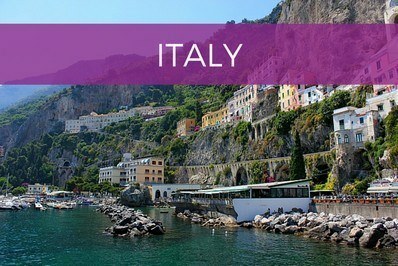 We offer itineraries for the places you’re traveling, including the big sights and the off-beat ones. We’ll show you the value in letting someone else take the reigns from time to time. 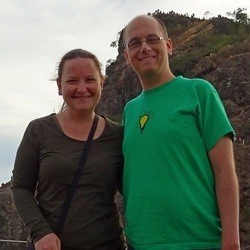 We’re Ali and Andy, and we both have lots of experience traveling in Europe and other parts of the world. We know what it’s like to travel internationally for the first time as well as the fortieth time. We know that planning a trip can get overwhelming. We’ve jammed too many destinations into one trip and made one misstep after another. Luckily years of extensive travel have taught us what works and what doesn’t. And we’re sharing our experience with you here. New To Travel Made Simple? Do you know the most common carry-on luggage size? We have carry-on sizes for 170+ airlines. Heading to Europe? Check out our featured destination guides. There’s a huge world out there just waiting to be explored, but that can also make it hard to decide where to go. 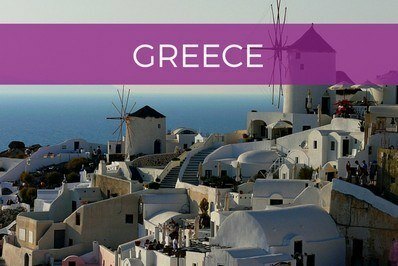 I’ve put together information and itineraries for countries I think are great for new travelers. 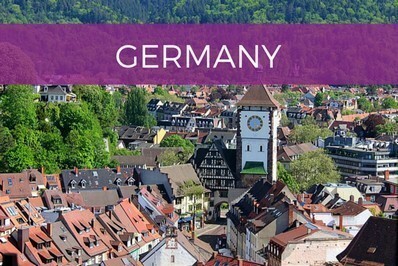 If you’re a first-time traveler, visiting one of these countries will make it a little easier for you to ease your way into international travel. 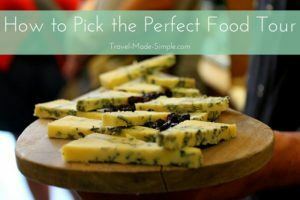 Hungry for Travel? Or maybe just hungry while traveling? Food tours are like two tours in one because you get to explore the city or neighborhood, and you get to eat lots of delicious things along the way. 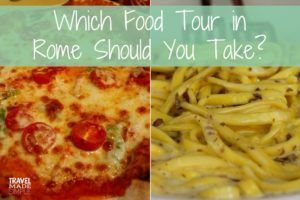 We love food tours so much, we’ve written several posts so you’ll understand why you should take a food tour and what to look for when booking one. 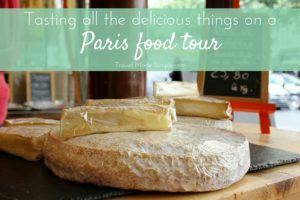 We’ve also reviewed the food tours we’ve taken and interviewed other travelers about their food tours. 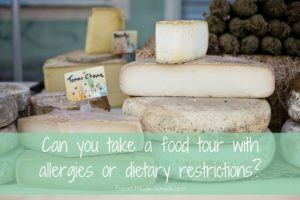 Can you take a food tour with allergies or dietary restrictions? Overwhelmed by planning a trip? Check out our 7 simple steps to research and planning a trip. See how to decide if your layover is long enough. Think a tour isn't for you? Not all tours are created equal. See when it is worth booking a tour.